Gloves are an important part of personal protective equipment (P.P.E.) when working, especially with the chain saw. Many people I speak with say they do not use gloves because they have a hard time working with them. They don’t fit correctly, hard to hold things and gloves fatigue their hands. Another thing is to find gloves that will last long enough, they are expensive. Gloves won’t prevent all hand injury from happening but they can reduce the severity in many of them. I have been trying a glove design over the past few months that is awesome. I have been using mittens with chain saws since Soren Eriksson introduced me to them in the 80’s. Mittens have several advantages for the saw operator. · You can get a better grip. Try pressing on your arm with fingers loosely placed (Like how it would be with cotton or leather between them with finger style gloves). Now try it with fingers together. It seems amazing; you can apply more pressure with your fingers together. One person told me that’s because your hands are designed that way. Mittens allow better grip because of this. 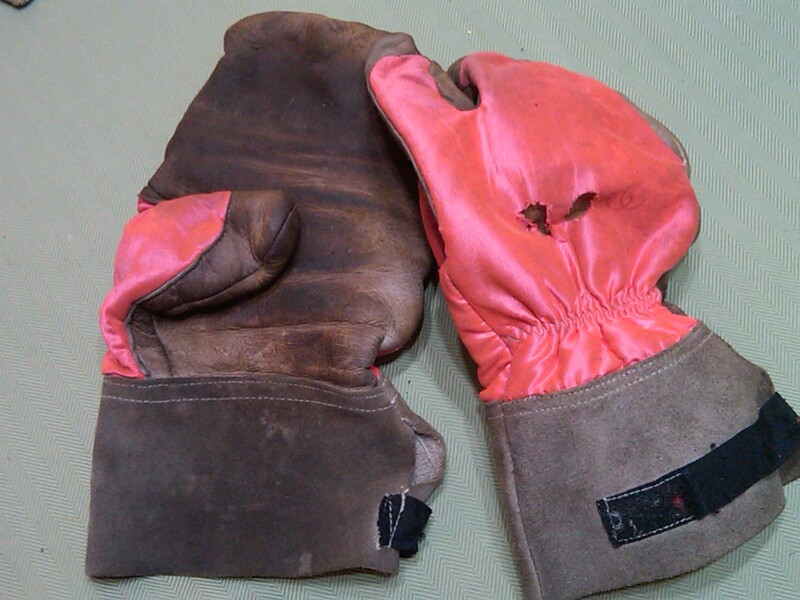 · The back of the left hand has chain saw material layered on the mitt. This can give you some reaction time from the chain should you need it. · Index finger is still separated on the right hand for chain saw trigger operation. · The palms need to be of leather for durability and abrasion resistant. Goat skin is used in these high quality work gloves. It has better characteristics with moisture. They dry without becoming hard and brittle. · Should they need to come off quickly it’s possible. They won’t bind on your hands quite as much as finger styles. They slide off much easier. · They also work very well with winter liners for cold operations. The saw mittens are available in four sizes (medium fits me perfect). You can follow the link to Gransfors for more information and to purchase.